Mr. Besner has been the Founder and CEO of several successful technology and consumer product companies. He most recently launched a new software company called CultureIQ, Inc. to help companies use data to manage, measure and improve their corporate culture. Prior to launching CultureIQ, Mr. Besner was the CFO of New York based SecondMarket Holdings, Inc., which he helped launch in 2004 as a founding Advisory Board member. Mr. Besner helped SecondMarket raise $36 million in Angel capital and Series A, B, and C venture capital funding. Prior to SecondMarket, Mr. Besner led a group of private investors in the Series B funding of House Party, Inc., a growth stage digital media company, where he served as COO from 2009-2010 increasing sales during his tenure from $3.8mm to $12mm. 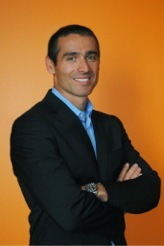 Prior to joining House Party, Mr. Besner was the Founder and CEO of Computershare Executive Services, a SaaS fin-tech company formally known as Restricted Stock Systems, Inc. ("RSS"), from 2000 until 2009. In 2007, Mr. Besner sold RSS to Computershare Limited, a public company based in Australia and he remained as President until January of 2009. During his tenure as CEO of RSS, Mr. Besner was named the Ernst & Young 2003 Entrepreneur of the Year in New Jersey. Mr. Besner is also the Co-Founder and CEO of Leslie Hsu LLC, a fashion accessories company that he and his partner founded in 2000 raising $4mm of debt capital and continue to run profitably today. Mr. Besner is also an active investor and consultant for numerous successful companies and start-ups. Of note, he was an investor and consultant for Zappos.com until Zappos was sold to Amazon in 2009. Mr. Besner currently serves on the Board of Directors or the Board of Advisors for ten privately held companies as well as his family foundation, the Willa's Wish Foundation, Inc. He also serves on the Board of Directors of the Young Presidents' Organization ("YPO") NJ Chapter. Mr. Besner attended The Wharton School of the University of Pennsylvania earning his M.B.A., and he earned his B.A. from Rutgers University. Mr. Besner lives in Short Hills, New Jersey with his wife and two daughters.